American Honda has announced that it’s voluntarily recalling some 200,000 of its portable generators sold in the US due to a potential fire and burn hazard. The recall includes the EU2200i, EU2200i Companion, and EB2200i generators. The US Consumer Product Safety Commission (CPSC) says the affected portable generators can leak gasoline from the fuel valve. Users should stop operating the recalled generator and contact an authorized Honda dealer for a free repair. Honda is also contacting users directly. For more information, visit the CPSC website. A similar recall has been issued in Canada. Thursday, April 18, is World Amateur Radio Day (WARD), this year marking the 94th anniversary of the International Amateur Radio Union (IARU), which was founded in Paris in 1925. Each year, WARD celebrates Amateur Radio‘s contribution to society. Groups in the US and around the world will celebrate WARD 2019 with on-air activities. Amateur Radio experimenters were the first to discover that the shortwave spectrum was not the wasteland experts of the time considered it to be, but a resource that could support worldwide propagation. In the rush to use these shorter wavelengths, Amateur Radio was “in grave danger of being pushed aside,” the IARU’s history notes. Amateur Radio pioneers met in Paris in 1925 and created the IARU to support Amateur Radio around the globe. Two years later, at the International Radiotelegraph Conference, AmateurRadio gained allocations still recognized today — 160, 80, 40, 20, and 10 meters. More bands have followed, and the IARU has been working to defend and expand Amateur Radio frequency allocations ever since. 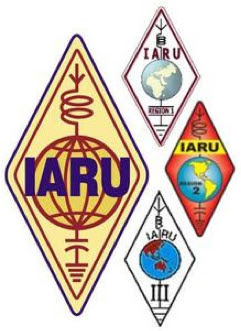 The International Telecommunication Union (ITU) has recognized the IARU as representing the interests of Amateur Radio. Groups are encouraged to promote their WARD activity on social media by using the hashtag #WorldAmateurRadioDay on Twitter, Instagram, and Facebook. 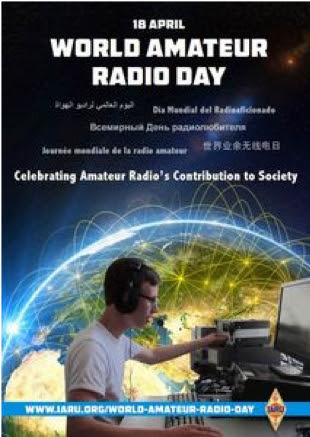 Visit the IARU World Amateur Radio Day web page for a listing of on-the-air activities. For those that have difficulty with the hyperlinks, you can copy the following link to your browser. The first PCARS FlexNet went fantastic, thank you to everyone who participated!! We ended with 17 check ins on 10 meters. Next month’s net will be on May 8th at 8pm on 40 meters. Most likely around 7.185 mHz. A final announcement will come out closer to the net. For those of you that participated in the net, the PCARS Squirrel Buro will be at the clubsite by next week’s SIG for you to drop off your QSL cards and to pick up any cards that may be waiting for you. The Buro box is a black file box with a Black Squirrel holding a QSL card on it. You can’t miss it. Cards are to be organized alphabetically by the last letter of your call. (Ex- my call is N8XTH, so, any cards addressed to me go in the “H” folder.) Just a reminder, the times should be in UTC not Eastern/Local time. Thanks again for participating and we’re already looking forward to next month’s net. Michael Kalter will not be able to present at tonight’s meeting. 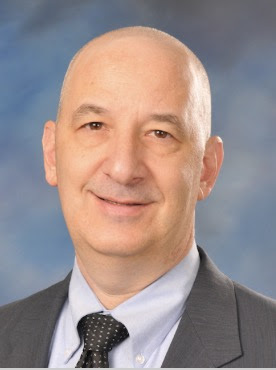 However, Jack Gerbs WB8SCT General Chairman for the 2019 Dayton Hamvention will be speaking about Hamvention via Skype. Jack started in Ham Radio in 1973 and was first licensed in April 1974 as WN8SCT, 1 year later he was WB8SCT. He currently lives in Springboro, Ohio, just South of Dayton. He is an active member of the Dayton Amateur Radio Association (DARA) and has served on many committees including being Assistant General Chair for 2017 and 2018. He has been appointed General Chair for Dayton Hamvention 2019 and 2020. We know this will be a great presentation. Looking forward to seeing all of you at the meeting tonight. How many can you work? The April 2019 issue of The RADIOGRAM has been published and is ready for you to enjoy. Hope you enjoy this issue – READ ALL ABOUT IT – Carole Perry’s, WB2MGP visit at PCARS – FCC Reinstates Code Testing – Report on the Yagi Build Day – Flex Net to Start in April – Gearing up for Field Day 2019 – Special Senior Test – Wagner family of Hams expands – plus a few April items that are fun as well – something for everyone! Feel free to pass this newsletter on to anyone interested in ham radio or PCARS. Tuna, with the Team aboard, departed for Bouvet Island on March 19, 2019, at approx. 6:00 UTC. If everything goes well, we should reach Bouvet in 7 days around March 26th. Landing on the Island will be strictly dependent on the weather conditions met upon arrival. ***Estimated*** launch date of 3Y0I on the air might be about last days of March. This information may be subject to change (sea and weather conditions – safety first!). The Team plans to stay at the island at least for 2 weeks, with an option to extend the stay to 3-4 weeks, if weather and other factors permit. The survey will close after March 22, 2019. You should already know that the Ohio statewide tornado drill is set for Wednesday, March 20 at 9:50AM. Several people have asked about taking this time for another test of the statewide DMR net, and that sounds like a great opportunity! I don’t want to take manpower away from your local nets, so let’s try a ~fast~ check-in net on the Ohio DMR Talk Group (3139) starting at 0930. That should give everyone time to check in and get back to your local Skywarn weather nets. We’ll call two districts at a time, in numeric order.